Home › Auto Insurance › Is AAA Worth It? The numbers don’t lie. 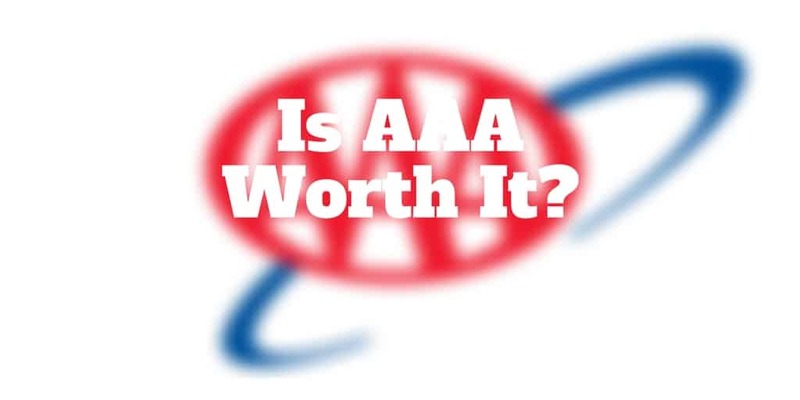 AAA has been in business for over 115 years, boasts 55 million members and has 1,100 branches in North America. And if you have ever been in need of emergency roadside assistance, AAA is synonymous with trustworthy coverage. But these days, competition among auto insurance companies is rife and many provide roadside assistance so can you waive your AAA membership and save money? Is AAA Membership Worth It? Is AAA Membership Right For You? Why Choose AAA Insurance Coverage? Is AAA Membership A Good Deal? Summary: Is AAA Worth it? Extra, Extra! Is AAA In All States? As a AAA member, you receive roadside assistance even if you are in someone else’s car. In fact, you don’t even need to be a driver. As a passenger in someone else’s vehicle, you still qualify for roadside assistance. Member perks also include discounts at 100,000+ locations, including hotels, restaurants, and car repair. But how do the three membership plans compare on price and benefits? A one-time enrollment fee is charged to new members, though AAA promos will waive the cost from time to time. While the basic AAA benefits of free towing, free fuel delivery, free locksmith reimbursement, car rental discounts and hotel discounts are generous, the big “gotcha” with the AAA Classic plan is the towing limit of just 5 miles. If you need towing assistance over a longer distance, you may be hit with a steep per mile charge thereafter which makes the plan unattractive unless you almost exclusively drive short distances. The AAA Plus plan has 20x more distance coverage (up to 100 miles) than the Classic Plan. The Premier plan goes even further and covers you for up to 200 miles of towing assistance. For most commuters, these two plans are a much better option than the Classic plan. The AAA Plus and AAA Premium plans are also a better a choice for frequent travelers. Both trip interruption and lost baggage coverage are included in both plans but excluded in the AAA Classic plan. However, if you have a credit card designed for frequent travelers like the Chase Sapphire ReserveSM credit card, you enjoy these benefits too without taking any extra money out of pocket beyond the annual fee. If you own a motorbike or an RV, you will be left with no choice but to select the AAA Premium plan, which is the only plan that provides roadside assistance coverage for these vehicles. The Premium Plan also includes perks like a free rental car for the day, windshield repair or replacement, and even emergency medical transportation. Some AAA benefits are provided by auto insurance companies and even credit card companies, so why choose AAA insurance coverage? If your car insurance policy is limited to liability coverage, you may be at risk in the event of a breakdown or accident because collision and comprehensive coverage is generally needed for roadside assistance. You may also benefit from AAA membership if you have kids and plan to visit theme parks or go to the movie theaters where AAA discounts apply. AAA discounts and AAA promo codes are available at over 100,000 locations so there is a decent chance of recouping your AAA membership fees from savings over the course of the year. Perhaps the most compelling reason to choose AAA insurance coverage is the sweeping protection you receive no matter what car you are driving or seated in. In the fine print of some auto insurance policies or even credit card terms and conditions when using rental cars, you will find coverage restrictions, such as driver-only coverage. AAA covers you no matter what car you are in and regardless of whether you are driving or a passenger. If you are pondering whether to sign up to AAA membership, it’s worth taking a few moments to think about what insurance coverage you may already have. New car buyers may already be covered for roadside assistance by a manufacturer’s guarantee. And roadside assistance is a complimentary benefit offered by many credit card providers too. You may even receive it as part of your existing auto insurance policy. Or it may be available as an add-on. Your auto insurance policy may also cover you for roadside assistance. For example, the Allstate Motor Club® provides roadside assistance for the equivalent of $1 per week. Whether you are stopped in your tracks by a flat tire or an engine breakdown, Geico roadside assistance is available at the touch of a button. The Geico app makes it easy to request help on your mobile phone. Emergency roadside service is available from Geico for $14 per year. So is AAA worth it? If you want protection no matter what car you are driving or seated in, AAA membership is worth the cost. Drivers with liability coverage only will benefit from AAA roadside assistance too. Otherwise, you may need to purchase collision and comprehensive insurance for an added cost. Plus, you can purchase renters insurance, life insurance, home insurance, and auto insurance through AAA at preferred rates. And you receive AAA discounts at 100,000 locations in North America when you become a AAA member. The bottom line is you could probably find coverage options for all the services provided by AAA elsewhere but if you want peace of mind that all your coverage is under one umbrella, AAA is hard to beat. Is AAA in all states? Simply Google “AAA near me” or “AAA phone number” to find the nearest AAA location to you. Do you have a AAA membership? Have you taken advantage of AAA discounts or AAA travel? Share your experiences with us, we would love to hear from you.